Brazil’s leading company in parcel services, BRASPRESS is the only company in the industry to serve the entire country with its own fleet of more than two thousand trucks and over 800 other vehicles. The company has more than eight thousand employees – direct and indirect – distributed in 96 branches throughout the country. Founded in 1977 by entrepreneur Urubatan Helou and his friend Milton Petri, BRASPRESS has numerous differentials such as the adoption of a new business model that involves large investments in technological innovation, the constant pursuit of efficiency and excellence in service delivery, in addition to its capillarity throughout Brazil. 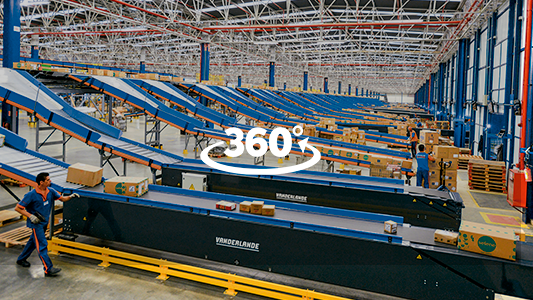 BRASPRESS became a success case in the Brazilian logistics industry thanks to its automated parcel sorting solutions, weight assessment and cubage application for all cargo, development of its own software, tracking of all parcels transported based on an in-house developed barcode model in addition to its competent sales targeting. Watch our institutional video. To watch other videos, access our YouTube channel. Take a tour through the largest automated cargo terminal in Rio de Janeiro.